ROAD TOWN, Tortola, VI – Hot up and coming Jamaican reggae sensation Jamar Rolando McNaughton aka Chronixx is due to arrive in the territory today March 11, 2016 for the first ever concert to be held in the Tortola Pier Park – the Dread and Terrible Tour. 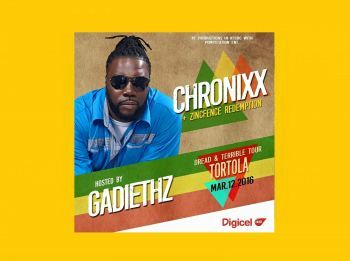 “As you know, Chronixx and his Zincfence Redemption are due to perform in the VI on Saturday night. It will be at the Tortola Pier Park. 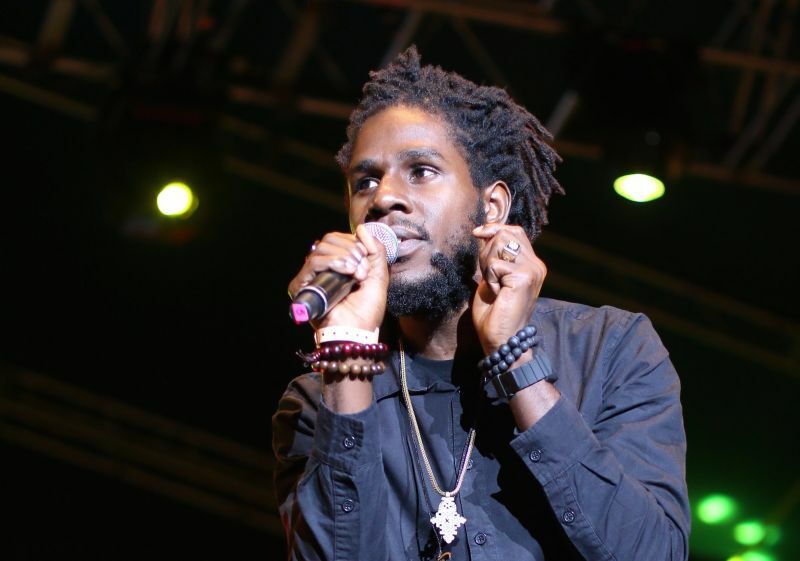 Chronixx is the newest sensation in reggae music. He is being referred to as the Bob Marley of the day,” said Kenny Thompson of KT Promotions in an interview with this news site yesterday March 10, 2016. Thompson said Chronixx remains current with his music and has a modern contemporary style even though he has that appeal to the older style. The local artists slated to perform are Ritical, Sistah Joyce, Shine – I and Maccabee and they will all be backed by the Alliance Band. The host for the event will be Paul ‘Gadiethz’ Peart and there will be music from Red Lion Sounds from the USVI and the VI. DJ Dre will also be there. According to Thompson, Chronixx and his entourage are due to arrive at the West End Ferry Dock at 4:00 pm today March 11, 2016. Speaking this morning, March 11, 2016 on the International Morning Ride Show heard on ZROD 103.7 FM, Chronixx said for him it is about making great music and doing a great show. 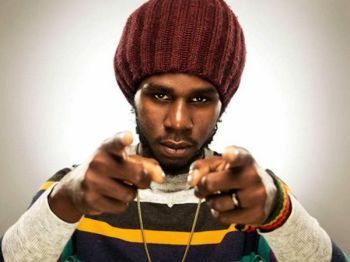 Asked whether he was on a mission to “save” reggae music, Chronixx said he does not think the art form needs any saving. He said artists such as himself and others are just the vessels, explaining different vessels carry different things. Chronixx said there is a lot about the reggae culture and the people who live it which needs to be communicated. “So we are giving thanks that we are the ones who are communicating it,” he said. Sponsors for the show are Coca-Cola, Digicel, RTW, Da Vibe 107.9 FM and Red Lion. Tickets for the show are available from ZROD 103.7 FM, Hazem's Beauty Supplies, Digicel stores and Bolo's. Z list show again - it is going to start late and be the same old same old rubbish we always get. LOL @ I from here... ah true he talk to much!